One of the signs of getting older is that the days, weeks, months and years go by ever faster - this seems rather unfair as you are likely to have relatively few ahead of you. 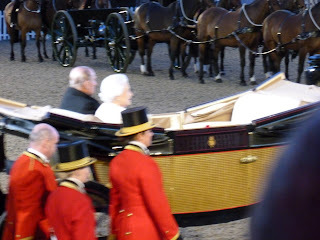 Not that I plan to leave this world just yet (well, not if I can help it), it is just that 2012 was the anniversary not just of the Queen’s Diamond Jubilee but also of mine which has focussed the mind, rather. As the time has sped by so fast I thought I would review the year, if only to remind myself what I’ve been doing the past twelve months. January: To London for the New Year. Whenever we visit ‘The Smoke’ (I wonder if anyone still calls it that now that the days of dense smog have long gone) it always ends up rather ‘foody’. That trip was no exception; we ate our way up the Kings Road, ate our way around Sloane Square and finally ate our way to Fortnum & Mason arriving in time for afternoon tea. 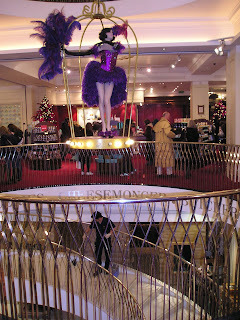 Fortnum’s is the most wonderful grocery store on the planet – whereas, most people, especially those from overseas, visit Harrods, Fortnum’s is the one place you really shouldn’t miss. Everything about it is delightful and its afternoon teas are legendry. We did squeeze in a visit to the National Portrait Gallery but why show you images of great works of art when you can see photos of Fortnum’s? Add it to your list of ‘places I must visit before I die’. February: A visit to Snowdonia staying at a friend’s isolated chapel house on the side of the mountains. The weather was quite kind to us considering the time of year so we were able to do a lot of walking. 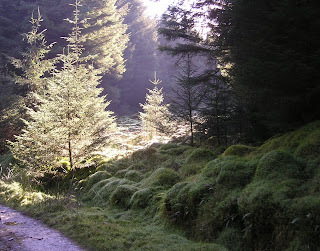 To our dismay, our favourite spot that we had christened ‘The Enchanted Forest’ because of its lichen encrusted trees and great mossy hummocks had been clear felled and all signs of it destroyed. This may sound like wanton vandalism but the trees had been planted for timber production regardless of the impact they had on the scenery. Now years later, there is a move to restore the mountains back to their original state which is, I’m sure, admirable and an ecologically sound thing to do. The trouble is that we loved this silent, brooding woodland that no-one, it seemed, apart from us ever visited and now it is gone. And with it has gone our desire to return but, who knows, perhaps we shall one day. 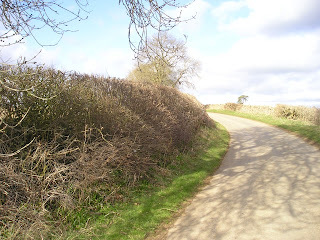 March: Recording the life of a hedgerow seemed like a good idea at the time. It was supposed to have become a month by month photographic notebook of the changes that took place during the year but sadly March turned out to be the first and only entry. As April arrived I took more photographs but when it came to blogging them they had disappeared (reappearing months later – one of the mysteries of computer technology). Then came the rain – and it has rained ever since - and the project was abandoned, apart from a vain attempt in May. The hedge, which is in the little lane that leads from our cottage up the hill out of the secret valley, is an ancient relic from the time of the Wychwood Forest, cleared in the very earliest days of British history. It is mentioned in the Domesday Book, that great list of the plunder of William the Conqueror, written in 1086. Although the forest has retreated by many miles there are still some fine trees standing and wild flowers that would normally be found in woodland still grow on its grassy banks. I shall make a resolution to resurrect the project in 2013. 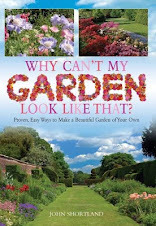 April: Part of my everyday job as a practical gardener is pruning, a subject which is a mystery to many people and often fills them with terror at the very thought of wielding secateurs to a treasured shrub. 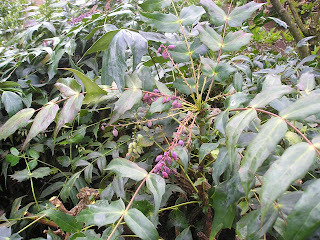 Mahonia is one of those useful winter flowering plants that so often look dreadful as they become ever more gaunt and ungainly. This was the case with one in a client’s garden so it seemed a good idea to photograph the process of restoration and blog about it. That post has rapidly become my most read and I am glad to be able to report that the plant is thriving. Now covered in new flower buds and almost ready to open, it will welcome the New Year with the scent of lily-of-the-valley. If you have one in your garden, cut a few flowers for a shallow vase to fragrance the house. May: Despite the rain that seems to have fallen incessantly since April, we had a fine, dry day for the most important day in my social calendar of 2012 which was also an important one for the Queen too. 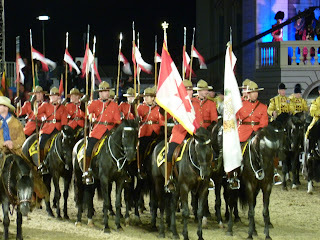 The Pageant of the Horse was held in the grounds of Windsor Castle and celebrated the Queen’s sixty year reign through her association with and love of horses. 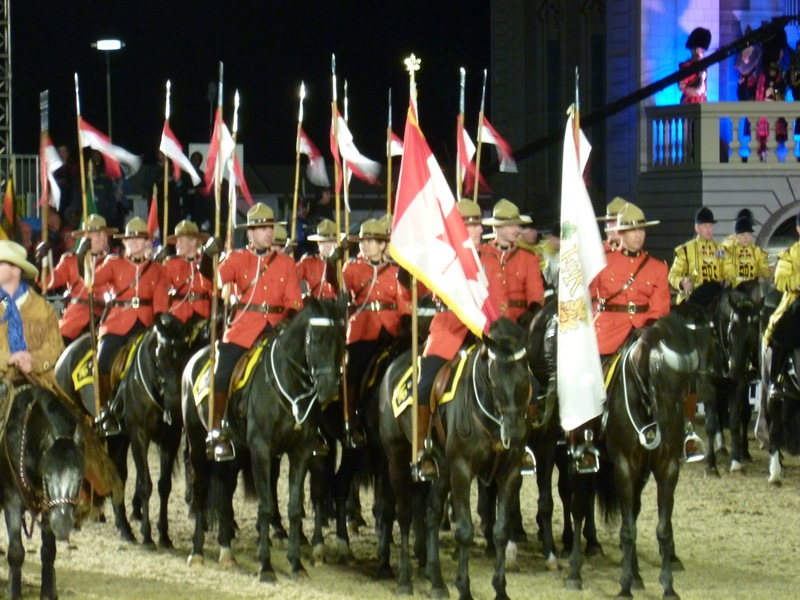 Horses, riders and other performers representing every country from around the world that the Queen has visited gave us a show that both we and she will never forget. 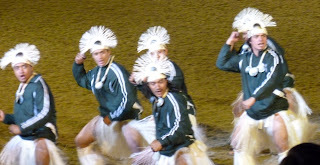 It was a quite remarkable and memorable experience; apart from the showmanship and being so close to the Queen and Prince Philip, we had a private ‘Haka’ from the Cook Islanders when they noticed us still seated after the bulk of other visitors had left. Very exciting! June: The Jubilee celebrations continued with the River Pageant held in London on the Thames in pouring rain, this time. A much smaller river, the Coln, featured in a post ‘The Most Beautiful English Village’ about the exquisite Cotswold village of Bibury. With its clear, trout-filled waters fast running past ancient stone cottages, it is hardly surprising that it is protected by the National Trust and much visited by sightseers. It is said that visitors often don’t realise that it is not a living museum and sometimes walk into people’s private gardens or houses to be surprised to find the owners eating their lunch or watching television. To read any of the posts mentioned above, just click on the links in green. July to December will appear soon. Hello Johnson. So glad you're going to continue with your hedgerow project next year. I'm sure I won't be only one saying this! Yes, we could certainly do with a little less rain next year. In the meantime, all the best for 2013! Ah well, I'll do my best! Watching the rain coming down in torrents at the moment and the flood waters rising around the house (won't reach us luckily, we're to high above it) and knowing that this weather is set for at least another week,I wonder if we'll every see sunny, dry days again. www.johnshortlandwriter.com It shows some of my other published writing and what else I'm doing when I'm not on Blogger! Why Can't My Garden Look Like That? All text and the majority of images © John Shortland 2009-2016. I'm very happy for you to link to or quote for non-commercial purposes with suitable acknowledgement. 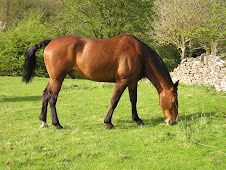 Occasionally I use images by others which are acknowledged in the blog post. It's probably best if you assume they won't like you using them.If you are even very slightly thinking of using my work for commercial stuff you'd better ask me first. 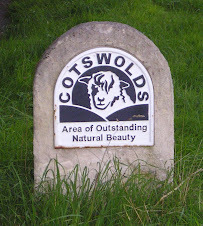 JOHN SHORTLAND, Cotswold Hills, England.